The JUMBO RHINO ROLL is all of these and more. Manufactured from strong polypropylene fibers, this wiper is strong, thick and tough, and won't tear easily, that's why each of the 475 wipers are perforated for easy tearing off the roll. However, the overriding component in the material is wood pulp, and lots of it, which gives the wiper its impressive absorbency capacity to soak up liquids, oils, chemicals, solvents and even body fluids, such as urine and blood. Any finally, through bulk packaging 475 wipers on a roll, the cost per wipe lowers so significantly that this is a disposable wiper, consistent with most hygiene requirements in healthcare organisations that recommend disposing of used wipers to dispose of any contamination the wiper may have picked up. With the above features RHINO WIPES are pretty versatile and can be applied to many varied applications in healthcare. They can be deployed to clean bathrooms and floors with great success, soaking up unexpected water spills, urine spills or cleaning up soiled floors. They are thicker and more durable than paper towels that tend to tear easily and not absorb as much, so RHINO WIPES are also an ideal disposable wiper to use to wipe down equipment, tables, glass and other surfaces. They are also capable of kitchen cleaning tasks to eliminate grease from surfaces or used as a heavy duty oil absorption cloth. Their smooth, non-abrasive texture lends them to polishing tasks, particularly of stainless steel and glass surfaces, and they are durable enough not to fall apart when used with cleaning chemicals. 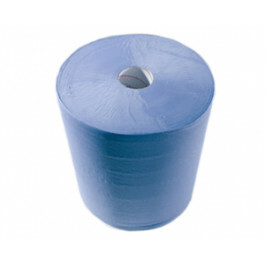 JUMBO RHINO ROLLS are well suited to aged care facilities, child care centers, as well as other places where you need a durable cleanup wipe. They are portable, easy to store and rest easily on a table counter for easy access, although floor stands are also available, if required. Armed with these wipes, routine cleanup work becomes more effective and efficient. These wipes are an important part of any organisation's healthcare consumables, well worth the outlay because they last a long time. So, if you are looking for a long lasting, cost effective wiping solution in your aged care facility, school, childcare centre, or any other healthcare organisation, and your focus is on protecting the vulnerable by maintaining a clean and hygienic environment, try the JUMBO RHINO ROLL and enjoy the convenience of tearing off durable, absorbent disposable wipers to deal with the varied challenges as they arise!